This Demonstration is an example of a metronome. The tempo and time signature are controlled by the "beats per minute" and "beats per measure" sliders respectively. 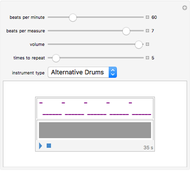 Depending on the chosen instrument type, one instrument will mark the down beats and another instrument will mark the offbeats. 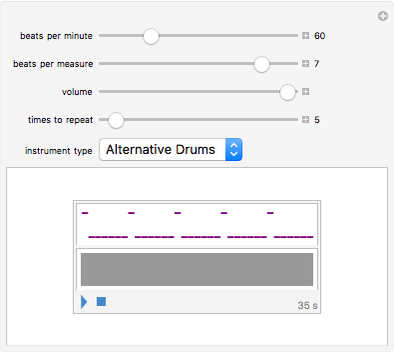 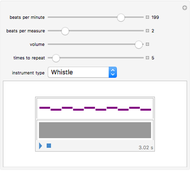 You can also vary the total number of measures to play with the "times to repeat" slider. 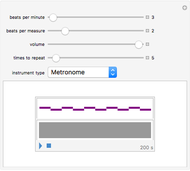 Anthony I. Joseph "A Simple Metronome"